Stainless steel sauce spoon – This special spoon makes it easy to arrange sauce on a plate. 4 ounce squeeze bottle – Put a sauce that you want drizzled on a plate into this bottle and see how beautiful your presentation will look. Plus, you can wash and reuse the bottle as many times as you want! Silicone pastry brush – The is perfect for brushing thick sauces on a plate so that your food presentation looks like it was done by a professional chef! Now I want to share a few fun ways that you can use the tools in this kit to create amazing presentations for different dishes. Know that you don’t have to actually buy this kit to make the most of these tips — the kit will just make it easier. Feel free to improvise with resources that you already have! Add a sauce to an entree plate by drizzling the sauce over the top of your food with the sauce bottle. You can also use the spoon to smear a colorful and flavorful sauce on the plate before adding a protein item, or you could even use the brush to put a highly-flavored sauce on the plate in a beautiful, artistic pattern. Use the spoon to add a beautiful dessert sauce and then drizzle a design into it. 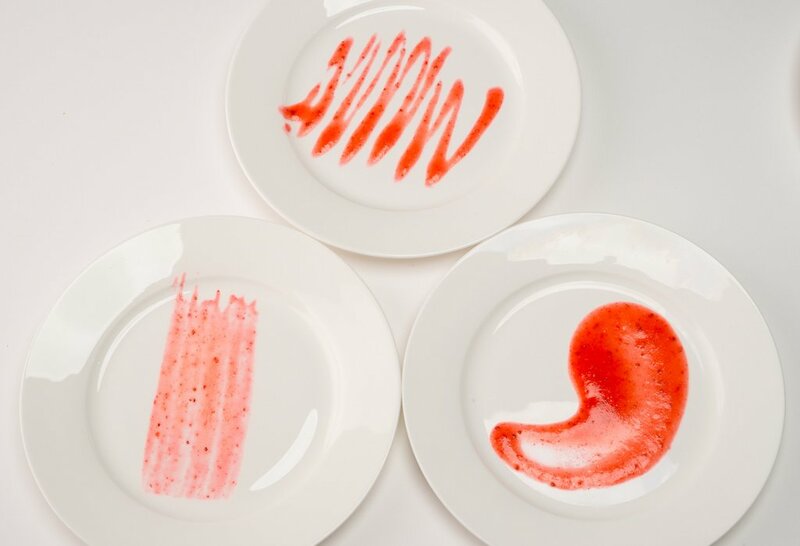 Use the brush to brush a sauce across the plate before placing food on top of it. Use the bottle to create dots in the white space around the food you’ve plated. Use the bottle to drizzle a sauce on top of anything. Use the spoon to pull a sauce or dressing across the plate before adding your food items. With this trio of tools, anything is possible! Plus, with this kit, you will be taking your cooking skills and presentations to the next level for you and your family and clients!